Those print and TV ads Comcast has been running in the Washington media promoting the benefits of its $45 billion purchase of Time Warner Cable? That was just a warm-up for the media giant's full court press, which began in earnest with the company's public interest statement filed Tuesday at 10 a.m. with the Federal Communications Commission. The move comes just a week after it filed its Hart-Scott Rodino notification with the Department of Justice. 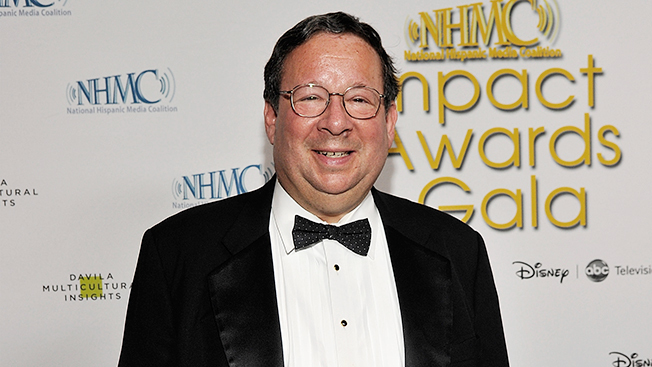 Along with the 650-page FCC filing, Comcast's evp and unofficial top lobbyist David Cohen, who appeared on C-Span's The Communicators two weeks ago, also posted a lengthy blog entry on the company's website. And because no campaign is complete without a twitter account, Comcast launched a new twitter handle @comcastpolicy, serving as a counterpoint to numerous anti-merger twitter feeds like @StopComcastTWC. All this comes ahead of tomorrow's sure-to-be-packed hearing on the merger before the Senate judiciary committee, where Cohen and Time Warner Cable's evp and CFO Arthur Minson, Jr. will face off with Gene Kimmelman of Public Knowledge, James Bosworth Jr. of Back9Network (an Internet-only competitor to Comcast's Golf channel), Richard Sherwin of Spot On Networks (a WiFi hot spot competitor to Comcast), and University of Pennsylvania law professor Christopher Yoo. While Congress has no authority over what regulators decide, it can influence and help shape the debate over the merger inside the Beltway. Sen. Al Franken (D-Minn.), for one, has been very vocal in his opposition of the merger and is likely to take a tough line with Comcast and Time Warner during the hearing. The biggest part of Comcast's filing and Cohen's blog is devoted to broadband issues, where critics are likely to focus their objections—not to the horizontal consolidation between the two largest cable companies. Even though Comcast will have 40 percent of the broadband market, and 30 percent of the video market, the cable giant goes to great lengths to divert attention from the size of the combined company toward the potential competition from companies that are bigger by a variety of measures, such as Google, AT&T, Verizon, DirecTV, Dish, Netflix, Amazon, Apple, Yahoo and Facebook. A few examples: "Netflix now has over 33 million customers in the United States alone, with another 11 million international customers; Google's video websites now attract over 157 million unique viewers each month who watch nearly 13 billion videos; Apple iTunes viewers purchase over 800,000 TV episodes and over 350,000 movies per day," Cohen wrote. So Comcast may be the largest cable provider, the largest Internet service provider, and a big telephone service provider, but it argues, others are a lot bigger. "The traditional boundaries between media, communications, and technology are obsolete," Cohen wrote in his blog post. "The competitive ecosystem in which we operate includes companies with national and even global scale. … Many of these companies are far larger than our combined company would be in market capitalization, annual revenues, and/or customers." Combining the two companies, Comcast argues, will allow it to more effectively compete and to improve broadband service by bringing faster Internet speeds to TWC customers, expanding WiFi hotspots, offering affordable broadband to more low-income Americans, and extending net neutrality rules to TWC's systems. Consumers, Comcast argues, will still have a choice between the combined company and one or more top-10 Internet providers. Cohen also makes a pitch to advertisers that the combined company will "have the scale" to invest in the development and deployment of dynamic ad insertion and addressable technologies for VOD. "The increased scale of the combined company should make such advanced advertising buys more attractive to advertisers looking for larger audiences. This, in turn, should encourage programmers to make additional popular content available on VOD and other platforms," Cohen said. As for video distribution, Comcast has already said it would divest systems to bring itself below a notional 30 percent threshold that the FCC likes, but that the courts keep throwing out.